Revamping AIGA's Design Census with a fresh design and a streamlined user experience. 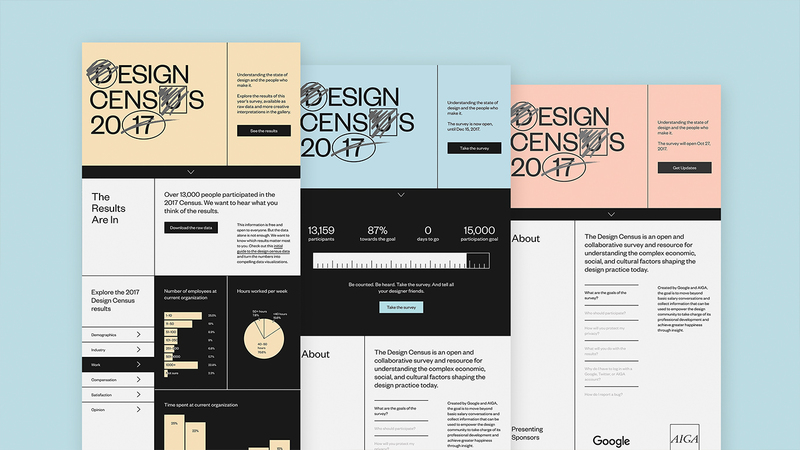 Sosolimited partnered with AIGA and Google Design to launch the second annual Design Census, an initiative that helps the design community grasp the complex economic, social, and cultural factors shaping the design practice today. 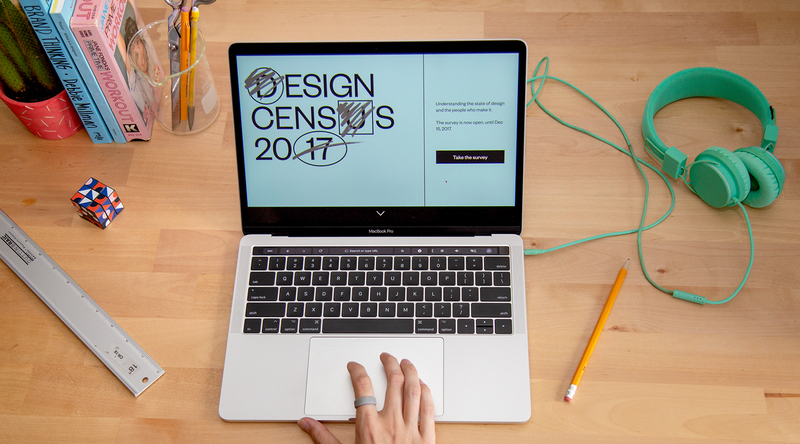 Driven by the goal of increasing survey participation and generating more value for the design community, my team started with the 2016 Design Census and identified ways in which the experience could be improved. 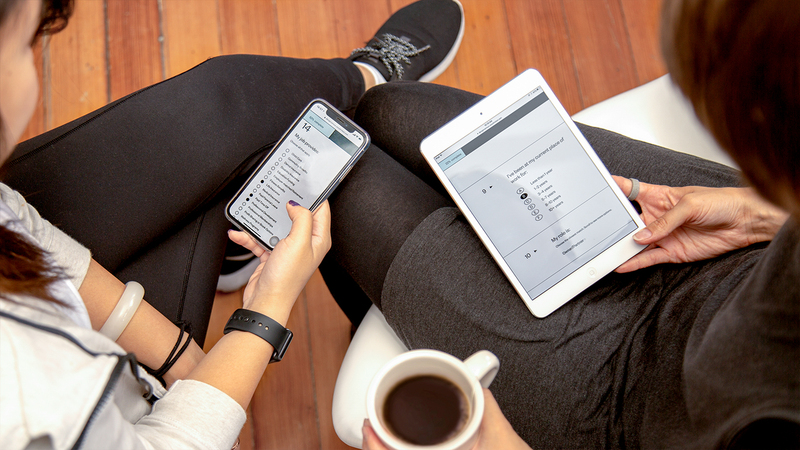 A key strategy was streamlining the survey experience. We removed roadblocks that hindered survey-takers from reaching the end, and pared down the total number of questions to include the most relevant ones. In addition to revamping the survey, we refreshed the Design Census identity, giving it a friendlier look while preserving brand recognition. The new census design resulted in over 13,000 survey completions, an increase of more than 30% from the previous year. 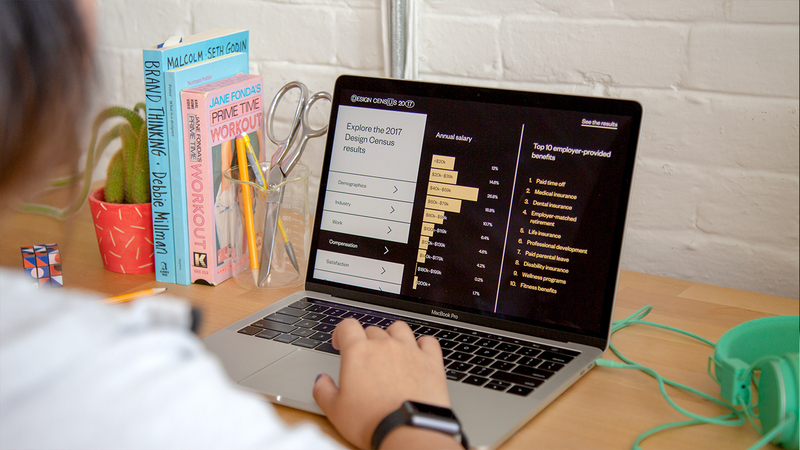 The higher number of participants helped us gather a robust dataset, which we visualized and mined for valuable insights into the current state of design. Check out an article I wrote about the data here.